*SCUBA: As of February 2018 there are 2 Dive Instructors aboard as crew. Certified divers or Resort Course can be offered. Helipad use is not currently available during charters. Please inquire for additional details. Massage Room *(for light use / requests, there is a (male) member of the crew trained in massage but has other duties). 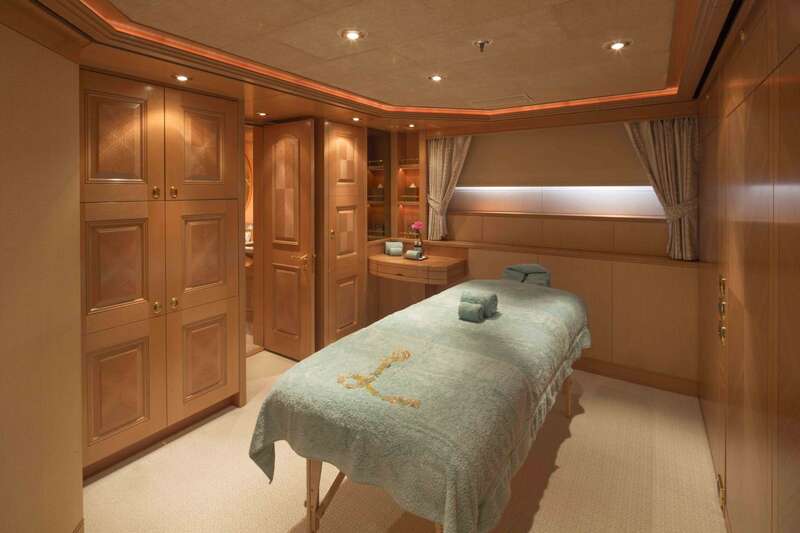 For spa treatments and daily guests requests, an additional crew member would need to be hired. USA. Roy started working in the marine industry at the age of 13 and had accumulated enough sea time for his first captain’s license at 19. 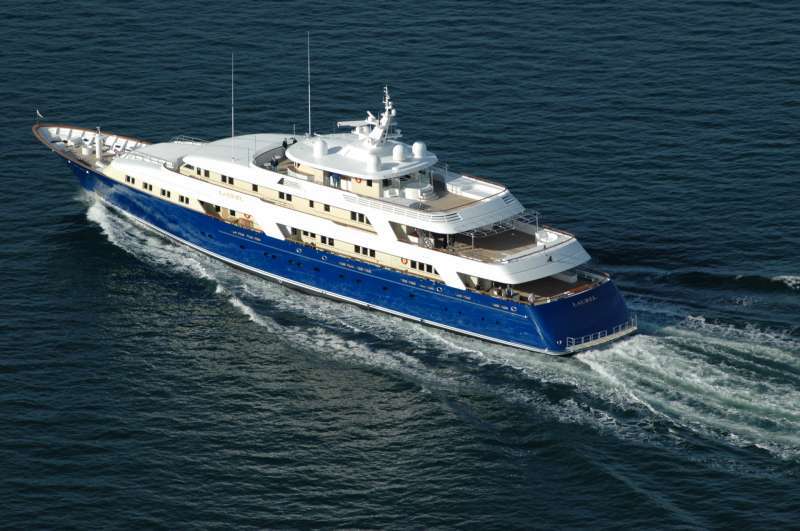 He has steadily progressed from smaller vessels and licenses to vessels up to 240’. As Captain, Roy’s primary responsibility is for the safety of the passengers and crew. He also sees to it, that your trip goes smoothly and pleasurably. He is very proud of the fact that many of his crew have transitioned with him on his last four vessels. In Roy’s down time, he is a private pilot and enjoys motorcycles and offshore fishing. United Kingdom. Marco was born and raised in the South East of England, studied Biological Sciences at Exeter University and began yachting after a number of years working in banking and telecoms finance roles ashore. Marco has worked in the yachting industry for the last 13 years and feels naturally at home both on the ocean and in it. Having had some experience of dive conservation projects, I have a healthy respect and huge appreciation for nature and the Oceans. I have been fortunate to have cruised the South Pacific, Caribbean, Mediterranean, Red Sea, Alaska, Asia and take great pleasure in the adventure of assisting guests in discovering new and interesting places. Hobbies and passions include endurance road cycling and scuba diving. USA. Stephanie started working at Green Turtle Bay Marina in Kentucky while in high school and has been in the marine industry ever since. She and Captain Roy have been married for 20 years and have spent most of that time cruising the Bahamas and Caribbean. Stephanie has held her 100-ton captain’s license for 13 years. In her spare time she enjoys road cycling, skeetshooting, fishing, fashion, photography and puppies. South Africa. Nicola was born in Cape Town, South Africa where she developed a passion for nature, the outdoors and the ocean. Nicola went on to study a business degree and worked in the corporate world, before her adventurous spirit and wanderlust lead her to pursue a career in yachting 5 years ago. She loves experiencing new places, people and cultures and is an avid scuba diver and skier. To keep fit Nicola enjoys working out and yoga. Australia. Being brought up near the famous Bondi Beach in Sydney, Australia, a natural love for the ocean was instilled in Rhia at a very young age. 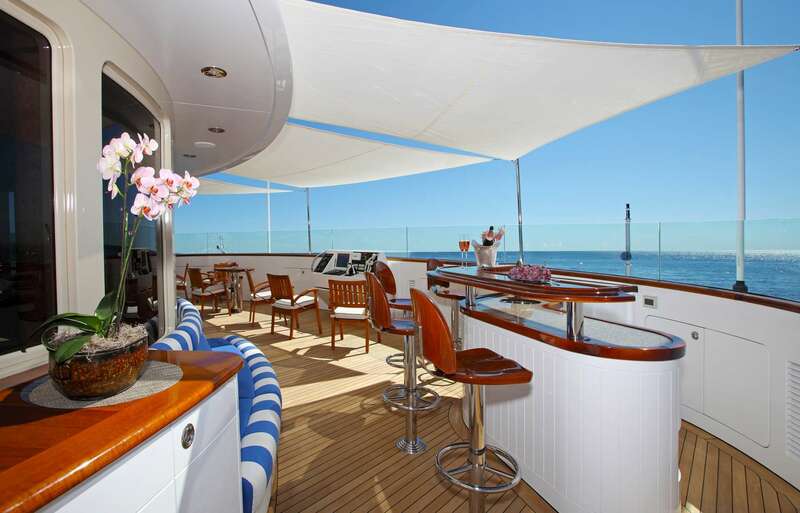 After working for years as a travel agent at home, her longing to travel finally brought her to yachting in 2013. 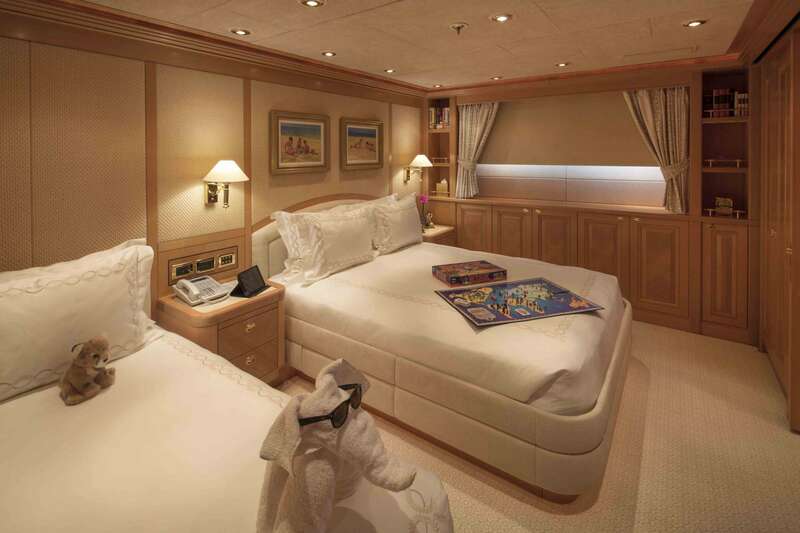 Rhia has worked on a wide variety of super yachts and has travelled all around America, the Mediterranean, the Bahamas and the Caribbean. A hippy at heart, Rhia loves yoga and is a qualified yoga instructor. Her happy, hospitable nature and eagerness to please will ensure your trip on Laurel will be one to remember. South Africa. Shani was born in Durban and grew up on the coast, which instilled in her a great love for the ocean. Shani completed a degree in Marketing and Media and left her career in advertising and as a photographer to join the yachting industry. She is extremely proud to be working on M/Y Laurel. In her spare time she enjoys traveling, the outdoors, yoga and fitness, diving and being an aspiring musician as she loves to sing, play the piano and the ukulele. Philippines. Grace enjoys traveling to various parts of the world and is very excited to be working onboard M/Y Laurel! Her favorite experiences are cruising the Panama Canal and Caribbean. Grace takes great pride in providing excellent service and making sure to meet the guest’s needs. She is married to our Laundryman, James and they have a beautiful little boy. In her spare time she loves volleyball, reading, cycling, and spending time at the beach. South Africa. Born in Johannesburg and has lived in Cape Town. Jenna has an eye for detail and is excited to provide you with the highest standard of service on board Laurel. She has a love of fashion and started a label for ladies clothing in South Africa. She also has a love of water sports and the outdoors, and loves to spend her time swimming, hiking and running. She is very excited to be a part of the Laurel crew, and looks forward to sailing seas such as the Caribbean, Bahamas, and Mediterranean. Philippines. James has worked on many large super yachts over the years and enjoys travelling and meeting new people and learning from different cultures. His favorite destinations are the Caribbean and the Baltic. James likes to focus on catering to guest's needs so that they have an excellent sailing experience as well as excellent laundry! In his free time he loves to go mountain hiking, playing basketball and American football. South Africa. Tamsin was born and raised in Johannesburg, South Africa. She grew up with a passion for swimming and spent 12 years competing. She graduated from high school in 2007 and adventured off to the USA to further her studies and to compete in international waters. Tam spent 4 years at Union College in Kentucky and still holds 5 college swimming records. She has her Bachelor of Science degree in Marketing, Management and Business Administration. Tam enjoys traveling, hiking, trail running and being outdoors. Tam is new to the yachting industry and looks forward to adding her excitement to your stay on Laurel. Patrick is a classically trained Executive Chef, bringing to the table over 35 years of extensive experience, ranging from casual high volume to award winning five-star establishments. He has mesmerized many discriminating restaurant goers while holding court at some of the world's finest dining enclaves. He has a culinary arts background as his ballast, with his formal training at The Culinary Institute of America, where he graduated with high honors. Patrick hails from Big Sky Country with he acquired his passion for the great outdoors… from skiing to SCUBA, mountain climbing to roller blading, motorcycling to bodybuilding… Patrick loves to stay active and staying on top of the world of fitness… holding both his Personal Training and Sports Nutritionist certification. United Kingdom, Simon was born in Cambridge, and lived in the countryside surrounded by rolling fields and organic farms. After he finished school he enrolled in music college and studied classical music and classical guitar. He has worked in the catering industry for many years ranging from Michelin Star with celebrity chefs to surf and yoga camps on the Spanish coast. He was has also worked as a private chef for royalty and rock stars alike. In his free time he enjoys surfing and snowboarding. South Africa. Wikus played professional rugby for 7 years before an injury ended his career in 2012, which brought him to yachting—and he has never looked back! Wikus has been diving since he was 14 years old and today he is proud to say that he has done over 1000 dives all around the world and is a PADI certified Dive Instructor. Wikus is a qualified OOW 3000 GT and is working toward his Masters License. His infectious enthusiasm and infectious sense of humor ensure an incredibly fun trip onboard. Josh was born in Rhodes, Greece. 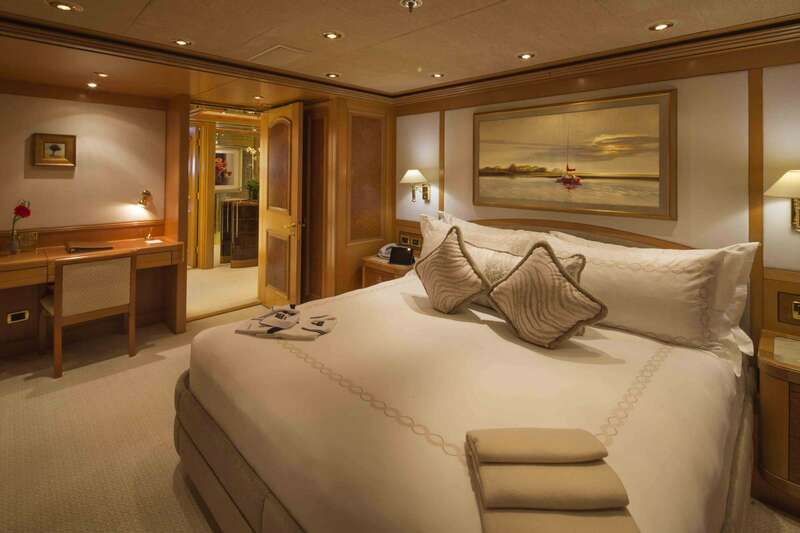 He was first introduced to yachting at a very young age, having grown up in a family shipyard there. At a later stage, he moved to the U.K to complete his education, before making the decision to join the yachting industry alongside many members of his family. Josh has worked on various charter boats in his career and is currently working towards his Chief Officers ticket. During his time in the U.K Josh discovered a love for Backcountry and freestyle skiing, as well as mountain biking, sport climbing and bouldering. He also loves watersports, being a keen swimmer and wakeboarder. Philippines. Philippines. Erjo, has been lucky enough to complete- two circumnavigations around the world. 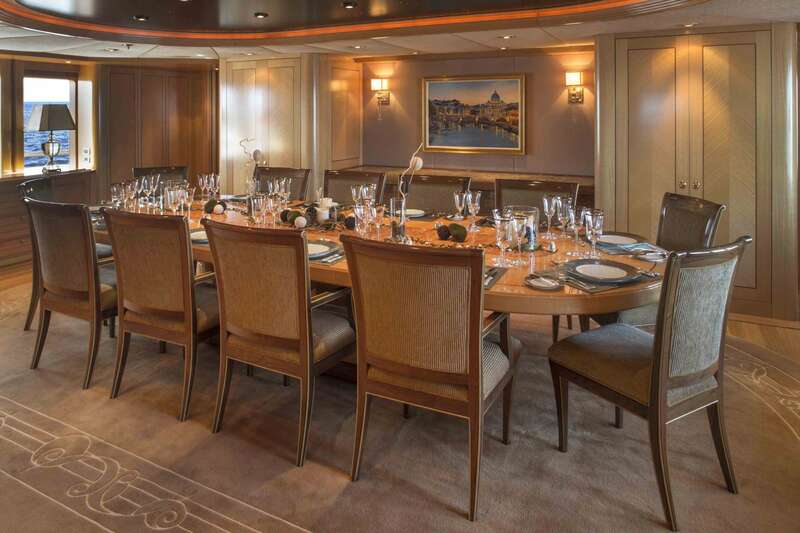 He has worked on the following vessels: M/Y Christina, M/Y Bullish, M/Y Gravitas 171’. 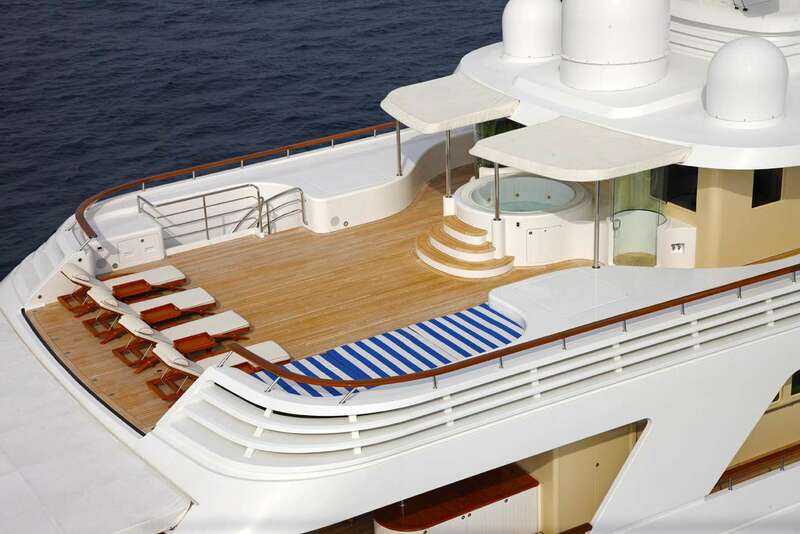 As an experienced deckhand onboard, he ensures that the exterior of the vessel is looking pristine at all times. He takes a lot of pride in his work and specialized in paint and varnish. 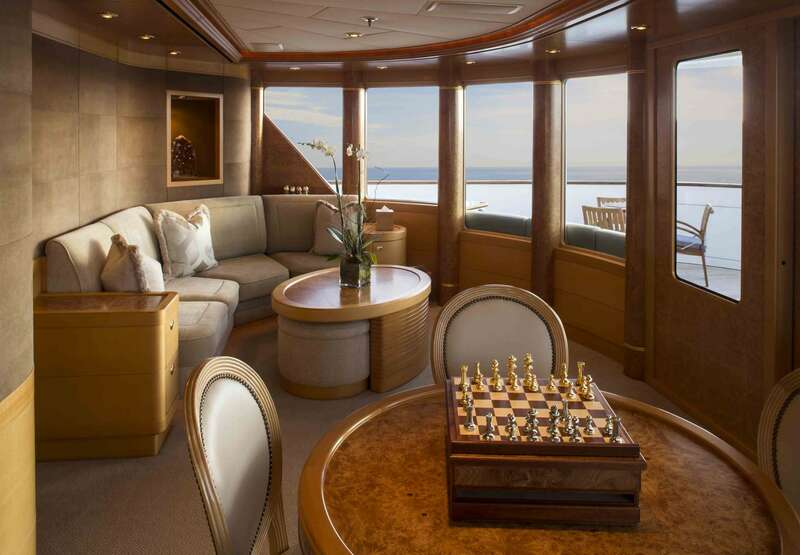 Erjo considers himself as the ‘Michael Jordan’ of Yachting as he is a big basketball fan. He enjoys cycling and music, mainly 80’s and 90’s. When available from his regular duties, Erjo is a qualified masseuse as well. France. Gregoire was born in France. He graduated, in June of 2015, from the Maritime School of La Rochelle and is now in the process of validating his Captain’s Certificates 200 UMS, 500 UMS. He is a hard worker, ready to take charge, and can easily adapt to a situation. Since childhood, he has been passionate about the sea and maritime activities. He developed a team spirit and a great sense of commitment from being a National Level Water Polo player. Finland. Hanna was born and raised in the beautiful Nordic country of Finland. She spent a couple years growing up in Montreal, Canada, and the hot summers doing all the watersports that were available at the local pool. After returning to Finland, she continued with competitive swimming and worked as a swimming instructor until she finished university. As a Master of Science in Technology, she worked with developing cloud based building management systems. Hanna is working towards her Officer of the Watch 3000GT ticket whilst working hard and enjoying her hobbies of yoga, fitness, exploring and diving. She believes things happen for a reason and is now here to make sure your holiday is as stress-free as possible in a beautiful and comfortable environment. Brazil. Andre was born in the city of Recife, Brazil. He grew up living in Brazil, Mexico, Argentina, Nebraska, and California. He worked in trading and logistics and as a maritime agent. Andre then spent 3 years studying to become a diplomat, earning a Bachelor's Degree in International Relations/Post Degree International Trading; Diplomacy & Negotiations, but decided to have a change when his career path led him to the yachting industry instead. Andre is a qualified PADI Scuba instructor- and looks forward to take you diving! Andre speaks several languages: English, Portuguese, Spanish, French and Italian. He enjoys kite Surfing, Scuba Diving, Cross Fit, yoga, reading, hiking and learning about different cultures. Australia. Trevor grew up in outback Queensland on a 20,000 acre cattle property where he became enthusiastic about repairing machinery. At eighteen years old he volunteered for the Australian Army and joined the Royal Australian Mechanical and Electrical Engineers Core where he qualified as a diesel engineer. With two deployments to Afghanistan and 6 years of service, he discharged to pursue his passion for engineering and desire for adventure. After traveling to over 50 different countries Trevor heard about the yachting industry and decided to become a Marine Engineer. Now with more than five years’ experience on busy luxury charter yachts, he is determined to give you the best experience and comfort possible. In his spare time Trevor enjoys diving, snowboarding, hiking and travelling. New Zealand. Ross completed his apprenticeship as an electrician and lived in the UK for three years while working and travelling extensively before returning to New Zealand and beginning his career in yachting. In his spare time, Ross enjoys diving, playing tennis, travelling and renovating houses. New Zealand. Growing up in Tauranga, on the east coast of New Zealand, Dylan developed an attachment to the ocean. He pursued a career in aviation and is a qualified aircraft maintenance engineer. 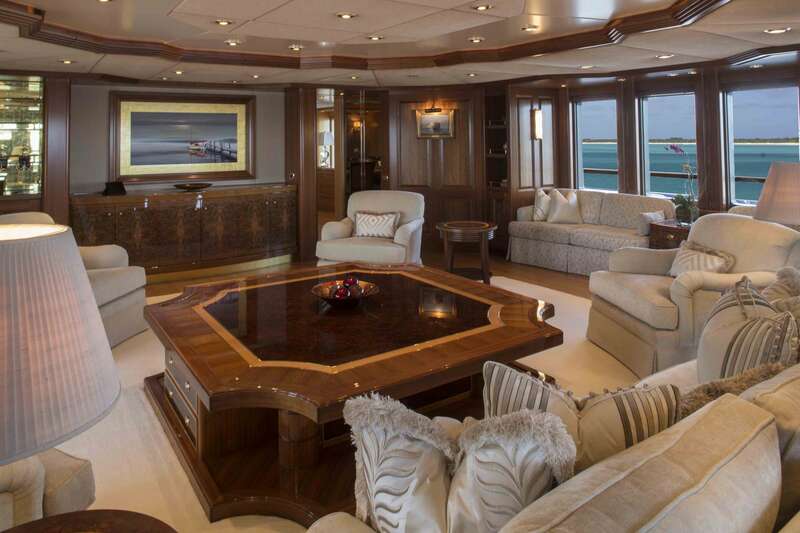 His love for travel led him to yachting where he can combine the two. In his spare time he enjoys travelling, fishing, diving, surfing, photography and videography. South Africa. Paul, was born and raised in Durban, where he completed a degree in Finance management. After Paul finished his degree he worked for Red Bull as a brand and sales developer for 2 years. During his summer vacations he would work in Summer Camp USA in Maine and Massachusetts where he helped children excel in sport and other outdoor activities. He has a passion for all water related activities, outdoor adventure sports and most of all, his love for travelling the world, meeting new people and experiencing new cultures. American. David grew up in the North shore suburbs of Chicago sailing on the Great Lakes and lived most of his life in South Florida. A recovering auto mechanic intimately familiar with the boating lifestyle, he loves his boats and their machinery. He took a break from the car business to crew some offshore sailboat races and deliveries that put him on a path to becoming a yacht engineer and never looked back. David enjoys fishing, sailing, cooking and riding bicycles. He also has a knack for photography, computers and graphic arts.